The words “remember me” are words that are among the most important in our lives. They are usually spoken by a loved one to another loved one, although not always in a moment of tenderness. 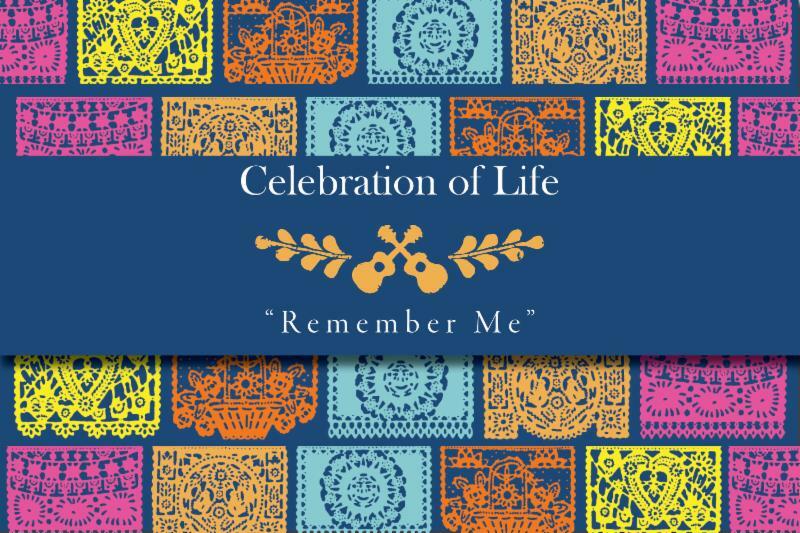 As we look forward to our Celebration of Life event on May 18, 2019, many may wonder what this event is and why they should go. The answer is to honor our families, ourselves, our patients and the memories of struggle and victory. We are alive in a time of great change, technology has taken over so many human tasks, but technology can never take the place of the human beings who guided our growth and development. We stand in America, as the generations that made achievements based on the sacrifices made by our immigrant relatives. Some of our families were brought here without consent, to provide the labor for this country to realize its dreams of growth, at the expense of their personal dreams and families. Unless we are Native American, our families came from other lands, often in times of deprivation and at great emotional and financial cost. Most of our families came here to give us a better life, with access to education, financial opportunities, religious freedom and safety from oppression. These gifts are often forgotten as we move from one task to the next, always aware of the clock and distracted by what needs to be done before the day closes. These are the legacies that we inherit, by circumstances that we may never learn about but are due to the hard work and sacrifices of our family. Even if we are the first generation of Americans, we likely had to rely on the help of our elders to get here and to build a safe place for our loved ones to thrive in a new land. Family defines us, along with our ethnicity, faith and cultural traditions. For many of us, these distinctions are so ingrained in us that we could not identify their origins. To illustrate this, I can tell you that my family is Italian, Catholic from Calabria and Sicily. We carry the talents, values, skills, foods, language and love of our family. I carry my Zio Gaetano’s love of words, as he was a linguist and a missionary who traveled the world to learn and record the languages of those who had no written language, only oral histories. Zio Tano, as I called him was a huge influence on my life, he wrote to me from all over the world, in Italian, so I could practice mine, and I wrote him back in English, so he could practice his. The Mother House of Zio Tano’s order, The Oblate Missionaries, International, was in Rome, but Zio kept an eye on our family from where ever he was and made sure that my father had a place to heal when he was terribly injured in an accident, when he was five-years-old. Zio Tano never lived in America but his order had missions in America and they nursed my Papa Milo back to health, so he could return to his family. Those bonds are deep and long, and we promise that they will never be forgotten. Every generation of our family will know how he gave the Eskimos a written language, how he possibly saved my father’s life and why I have named my hard drive Padre Drago. My memories of him will be present until I die, and my niece and her sons will tell these stories to their children. We do these things because each generation must carry the love, traditions, recipes and adaptations made from one generation to the next. Every family I have gotten to know has their stories, some are beautiful, and some are painful. Sometimes a generation or a family member will suffer a tragic event, like the survivors of World War II, the drug scene of the 60’s or an accident or a trauma caused by violence. Instances like these can shake a family to its core. Some of these events may be misunderstood in the moment and they may bring a perception of shame for some in the family. Sometimes it takes time and additional information to make sense of a painful experience, so that a hindsight perspective changes the legacy of an individual. Sometimes, peace is not possible, and extra help is needed to resolve a complicated grief experience. Every life deserves to be honored or to serve as a lesson; an innocent child lived, for a time, in the heart of every tyrant or grouchy old man. Let us look back on the legacies with conviction to be more curious and determined to understand the stories of those unable to talk about their pain. Many of you gave unconditionally, working to make sure that the needs and wishes of our patients were met. Many found a gift in being present to soothe the pain and suffering you witnessed. The way you served your family was not unnoticed, even if our staff was the only audience, because we understand the challenges, the loss of sleep and the beauty of your care. We will not forget your journey and the trust you gave us to understand who our patients were and what they meant to you. A person at the end of their life is often very different than they were at other points in their lives. The hospice team learns to understand the differences between their past and present, if our patients are with us for a while. We silently calculate the losses they have suffered and try to make our roles as helpful and respectful as possible. We often feel that we meet giants in the scope of our work, and we do not forget that. We also know that our patient may have been cruel for unknown reasons, yet a member of their family stepped up to become their caregiver and a giant among us. Let us search for the stories of our loved ones, share them at the Celebration of Life to honor their values and histories. Let us change the trajectories of the lives of the children of today, and those in our future, by honoring their legacies with love, changes or compassion. Let us remember them, for the lessons they taught us, the patience they showed, the trust, joy and the sorrow we shared. The legacies of our patients and their families are written on the hearts and minds of our staff. We may have been the only ones left to give them love and a dignified death, or we may have grieved right along with their families and caregivers as their abilities were lost. You see, we are all one human family, without separations based on religion, skin color or language in hospice. We will share the beauty of the legacies with each other, and never forget the lessons they taught us!